Guests staying at the Westin Edmonton were moved to a different hotel Tuesday evening after a major water leak caused flooding, says Edmonton Fire Rescue Services. A fire crew was dispatched to the hotel at 101st Avenue and 100th Street at about 7:20 p.m., said Edmonton fire spokesperson Katie Stewart. Hotel staff had turned the water off by the time firefighters arrived, she said. 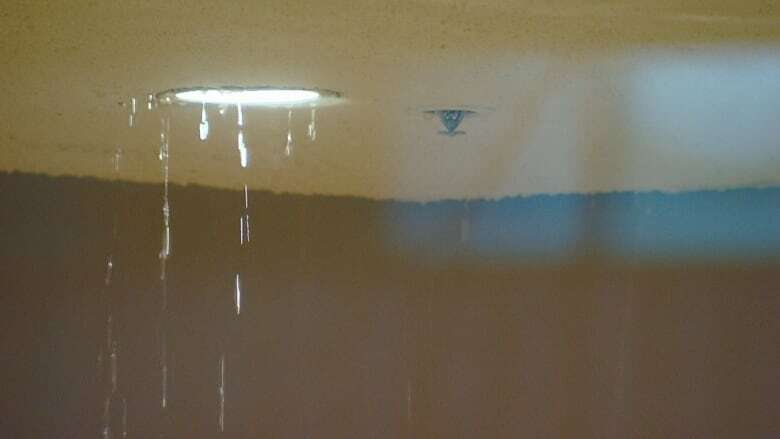 Water was leaking from the main-floor ceiling. Stewart said she couldn’t confirm what caused the flooding, how many people were evacuated, or what hotel they were moved to. Katie Mundy was staying at the Westin and had to move to another hotel. She said she was told a pipe had burst on the fifth or sixth floor. A Westin Hotel employee said management was unable to comment Tuesday evening because they were busy dealing with the flooding.